As the Nittany Lions prepare for their sixth trip to the Citrus Bowl, we take a look back at each appearance. 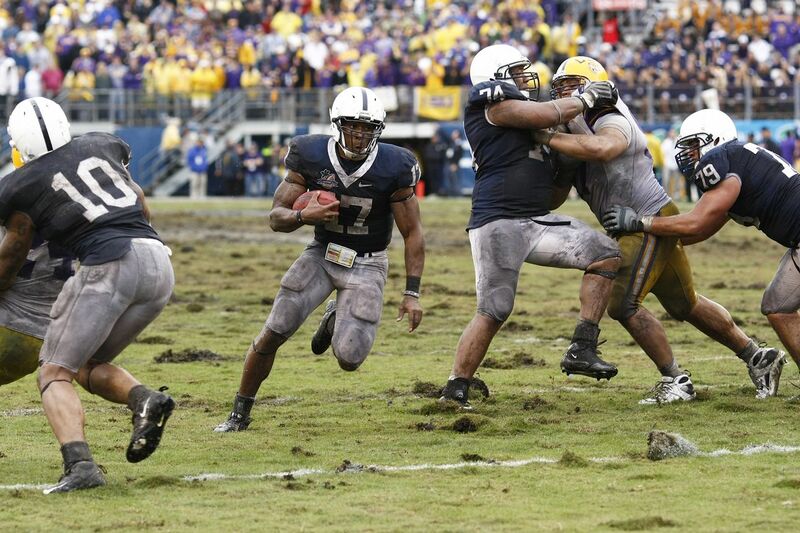 As I’m certain you know by now, Penn State will be taking on Kentucky in the Citrus Bowl. While it’s no playoff game or Rose Bowl , it’s a Jan. 1 bowl against the #14 team in the nation. This will be Penn State’s sixth appearance in the Citrus Bowl, with the program holding a 2-3 record, which has traditionally paired the second-place (or second available, based on playoff/BCS/Bowl Coalition selections) teams from the Big Ten and SEC. I’m too young to remember any of this game, but seems like it would be one to forget. Penn State was ranked as high as #10 but suffered losses to #19 Alabama, #13 Syracuse, and ended the regular season being shut out 10-0 by Pitt, which is still likely being commemorated on key chains throughout the Steel City to this day. The first quarter ended with both teams tied at seven, but Clemson built its lead throughout the game while the Nittany Lions were unable to provide the firepower to keep up. The offense was hindered by the absence of Blair Thomas, who watched from the sideline with a sprained knee. Clemson running back Tracey Johnson ran for 105 yards and three touchdowns to help lead the Tigers to victory. I’m very happy I’m able to remember this one, because boy oh boy was it fun to watch the underdog Nittany Lions wallop the Volunteers , led by star quarterback Heath Shuler. Tennessee would jump out to an early 10-0 lead, but Penn State would outscore them 31-3 the rest of the way in a dominating performance. In a sign of things to come in ‘94, Bobby Engram was named MVP for gaining 107 receiving yards on seven catches, one for a score, as well as an electrifying 35-yard run on a reverse. Ki-Jana Carter would add two touchdowns on the ground, with Kyle Brady also finding the end zone on a seven-yard pass from Kerry Collins. Penn State’s offense rolled that day, and never slowed down during an undefeated 1994 campaign. This was an appropriate end for the 1997 team that was ranked #1 early in the season before being exposed by eventual national champions Michigan, and again with an embarrassing loss to Michigan State to end the regular season. Penn State’s offense was lost without its two star playmakers- Curtis Enis, whose season (and Penn State career) ended following an incident of receiving a suit from his agent to wear to the college football awards show, while Joe Jurevicius found himself in Joe Paterno’s doghouse for academic reasons. Penn State could not find the end zone, as Mike McQueary had an atrocious performance where he completed just 10 of 32 passes for 92 yards and three interceptions. 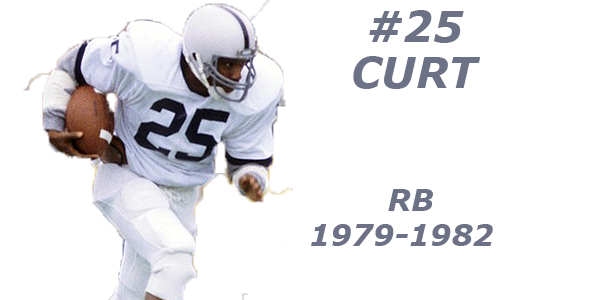 Florida’s Fred Taylor, who would go one to have a tremendous NFL career, sliced through Penn State’s defense for 234 yards on 43 carries. After an ever-so-brief return to relevance after losing seasons in 2000 and 2001, Penn State would make its only bowl appearance in a five-year span after falling back to earth in 2003 and 2004. Unfortunately, it was a completely forgettable game as Penn State’s offense couldn’t shake off the rust and was held in check by Auburn’s defense. Larry Johnson rushed for 2,015 yards during the regular season, yet only managed 72 yards on 20 carries. Even worse, future first-round pick Bryant Johnson didn’t have a single reception, while Zac Mills threw for a measly 67 yards, completing just eight of his 24 attempts. Penn State took a 6-0 lead into halftime, but were ultimately doomed by a lack of productivity on offense. At the time, the national perception was that the SEC was by far the best conference in college football thanks to its run of national championships. The Big Ten, however, was deemed an impostor thanks to Ohio State being embarrassed in consecutive BCS title games by BCS opponents in ‘06 and ‘07. Penn State would have none of it. The Nittany Lions struck early on a 37-yard touchdown catch by Derek Moye , and controlled the game for three quarters by building a 16-3 lead. However, the Tigers were not finished. The LSU offense put together two quick drives to suddenly take a 17-16 lead. Fortunately, the Nittany Lions had one last drive in them, as Daryl Clark led them down the field to set up a game-winning field goal by Collin Wagner with just 57 seconds remaining. Clark was named MVP in his final game as a Nittany Lions. It was the 24th and final bowl victory of Joe Paterno’s career, and the first bowl loss for LSU’s Les Miles, who entered the game with a 5-0 bowl record.